Shubert will be helping to update the Year 5 Blog! 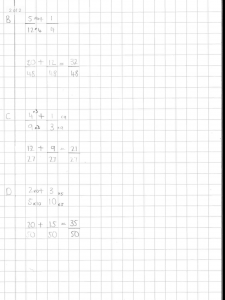 We’ve been learning all about fractions this week. 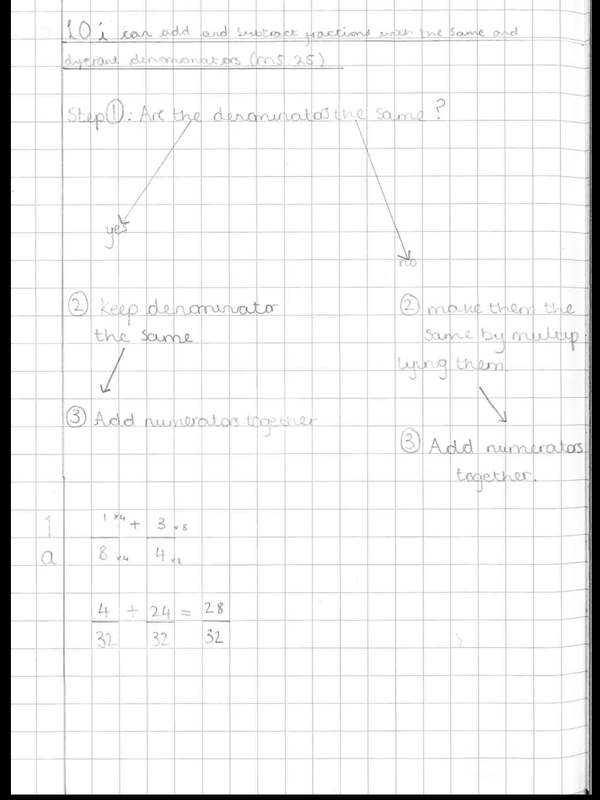 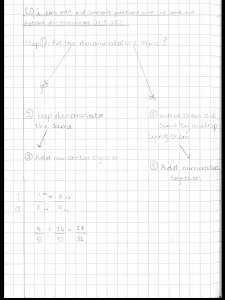 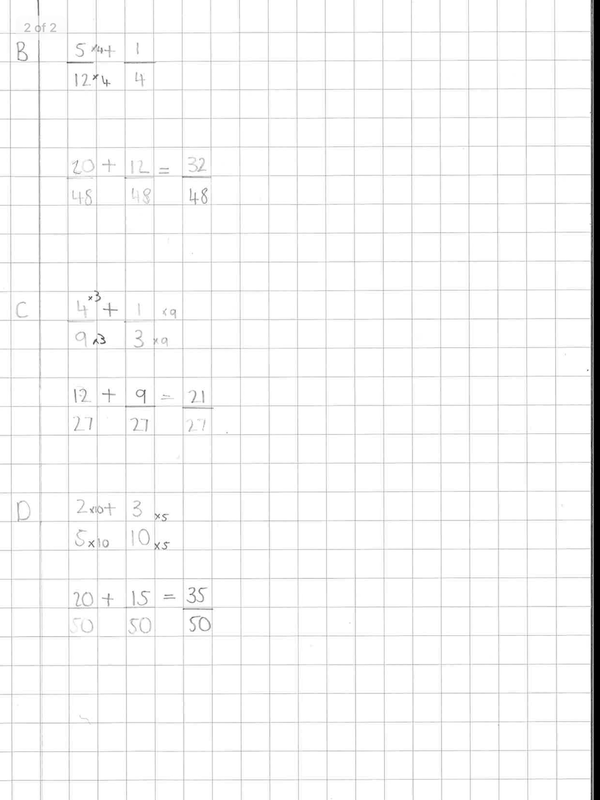 Lemar did some great work on adding fractions. 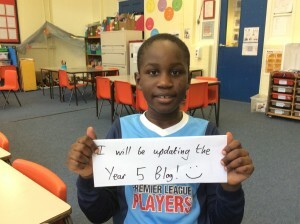 Can you give him a challenge to improve his work? 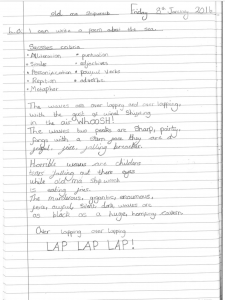 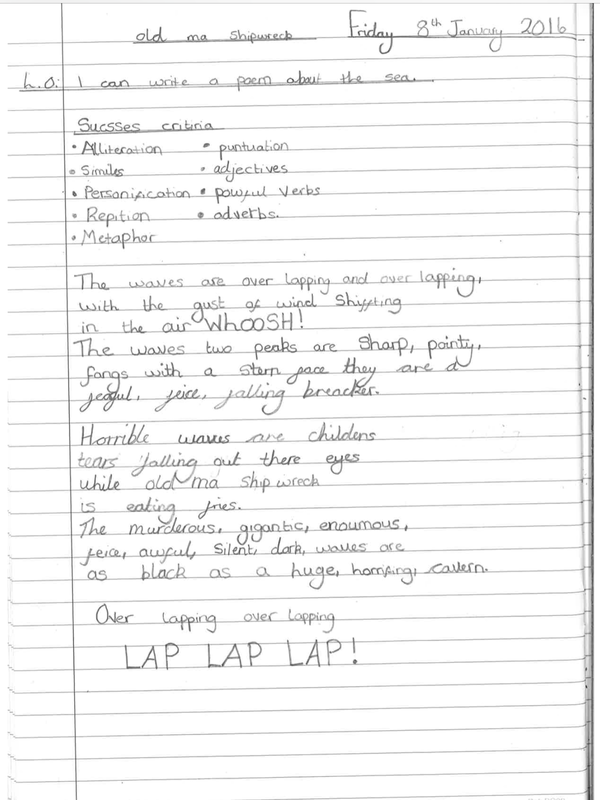 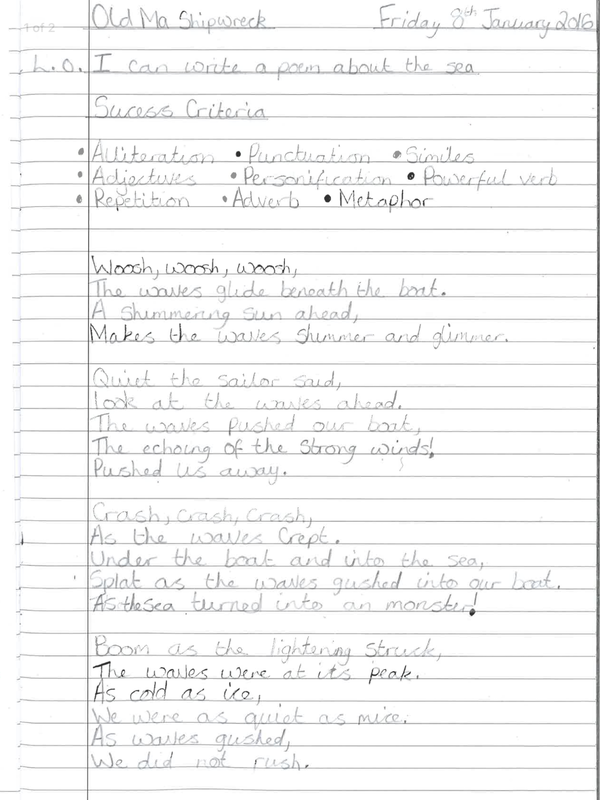 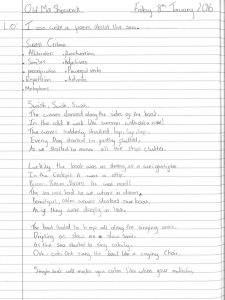 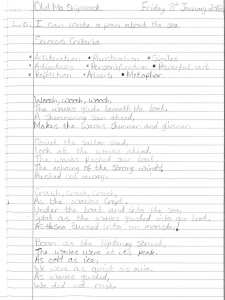 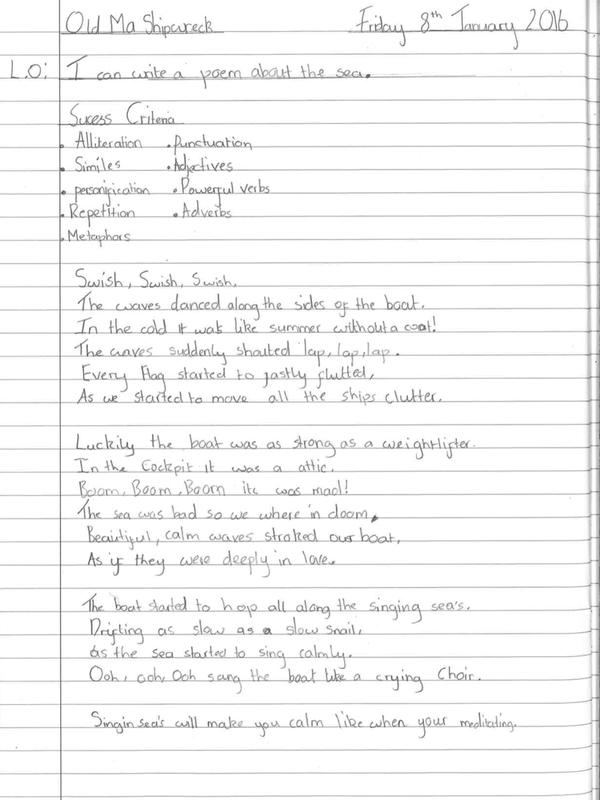 Year 5 wrote their own poems inspired by the poem ‘Old Ma Shipwreck’.